Associate Professor Dongbin Wei, from UTS (School of Mechanical and Mechatronic Engineering), and Professor Dr. G.L. Samuel from the Indian Institute of Technology Madras (IITM), are devising ways to make that a reality, by creating a device that is a one-stop-shop device for testing blood. 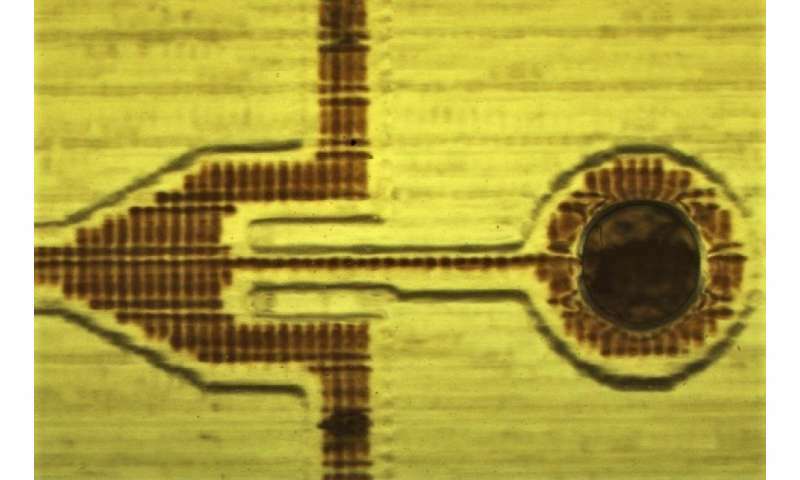 "We call it a 'lab on a chip'," Dr. Samuel said. "It's not a single test device, it's a whole laboratory. So we can quickly input the sample and then get the results right there and then to assess the patient's condition." The device, created as a prototype in UTS's Protospace 3-D printing facilities, allows for researchers to conduct multiple blood tests using only a few drops of blood. It promises less of a burden to patients requiring blood testing. 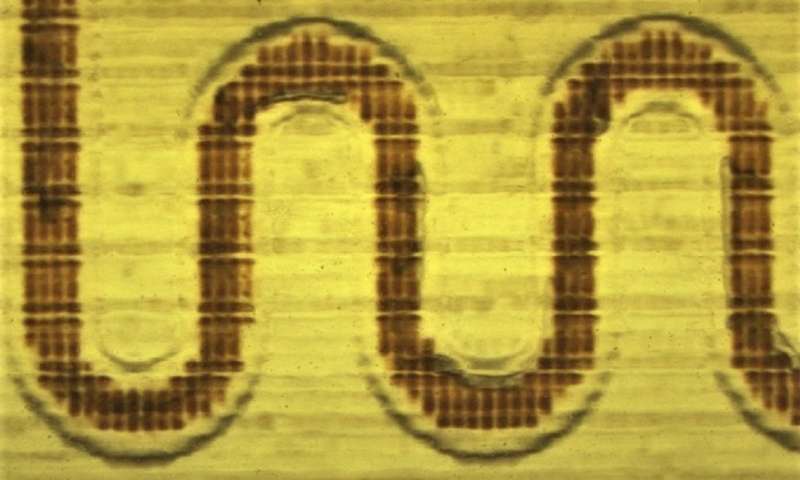 At just the size of an ID card, the chip filters blood droplets into several chambers, in which each separate test is conducted simultaneously. The chip is designed to be disposable, making it an affordable and accessible option for many. What is more, it should prove particularly useful in the case of epidemic diseases. "Another advantage is that if some sort of plague occurs, and you want to quickly check what the disease is without risk of it spreading, it saves us having to bring blood samples to a city to test and see the results," Dr. Samuel said. Current limitations in technology have made building such a devices challenging to implement practically. The demanding micro-additive manufacturing process is something most 3-D printers are yet to achieve. Yet Dr. Samuel and Associate Professor Wei are in the process of working around that. "Most 3-D printers now can't deal with very fine details in the fabrication process. That's why we proposed a collaborative research project looking into micro-additive manufacturing. If our research is successful, it can be used to make these concepts accessible, to bring them to life," Associate Professor Wei said. At present the micro-electrical-mechanical technology is being used for making the moulds for biomedical devices. "It involves many steps of production and the component parts need to be made separately and bonded. But if you can do it with 3-D printing, we can print the device in one step. It would be fast and the cost would be much cheaper," Dr. Samuel said. For Dr. Samuel and Associate Professor Wei, initiating a collaborative research project of such a scale was as simple as reaching out through the UTS Key Technology Partnerships network. "The UTS email came to our faculty through the international office. I saw it and when I found out that micro-manufacturing is the research area of Associate Professor Wei at UTS, I sent my profile and outlined my previous work in an email." Dr. Samuel said. "And I replied immediately," Associate Professor Wei said. "Then we started the whole thing, so that's how it began." Under the Key Technology Partnership (KTP) Visiting Fellow program, Dr. Samuel and Associate Professor Wei understand the value of working face-to-face with their research colleague. "The sharing of knowledge, students and facilities, is the primary benefit we get. Looking from a different perspective – from the manufacturing and then materials side, for example – allows us to solve problems and issues we wouldn't have overcome alone," Dr. Samuel said. Collaborating together at UTS allowed the two academics to complete their work within a shorter timeframe. "These days you can use Skype or something like that to communicate – but everyone is too busy. It always turns out that no one has the time to talk. So for individuals to be here in person makes it very convenient," said Associate Professor Wei.